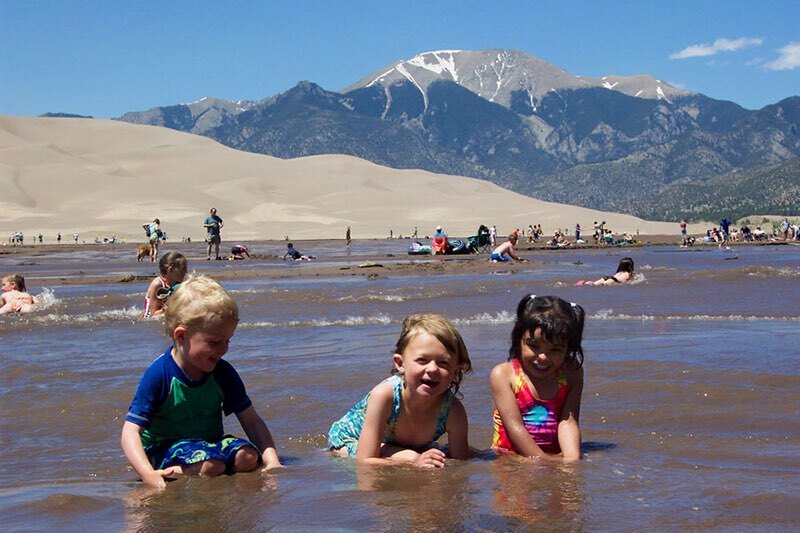 Explore the tallest dunes in North America right here in the San Luis Valley. 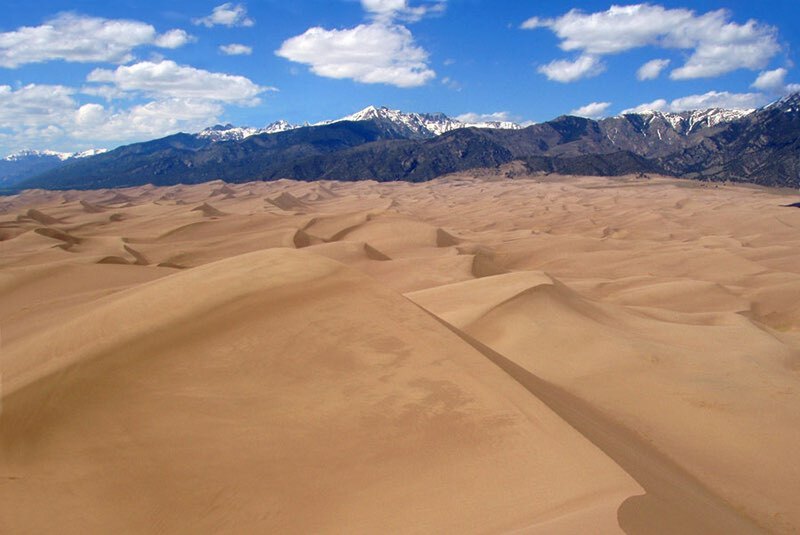 The Great Sand Dunes are very unique to the area. 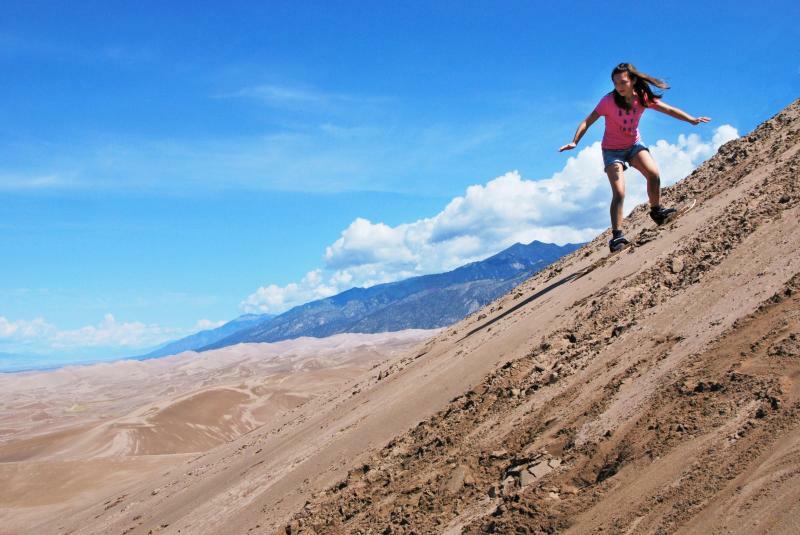 Enjoy hiking, sledding, sand boarding and exploring. 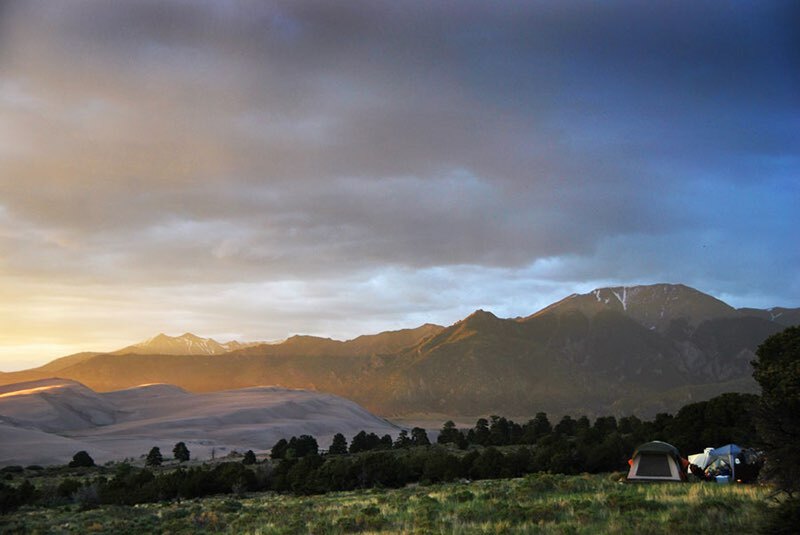 Rugged 13,000 ft. summits, alpine lakes, tundra and ancient forest are protected in the Great Sand Dunes National Preserve. 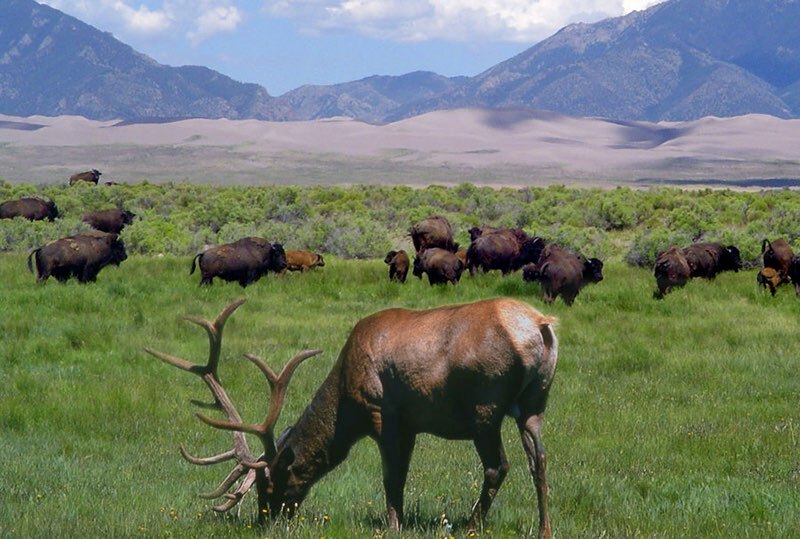 Explore the grasslands, shrublands, and wetlands that surround the Great Sand Dunes. The park is located about an hour and a half from Chinook’s Snowy Pine Cabins and RV Park by car. This makes a wonderful day trip. For more information visit the Great Sand Dunes website.